James has a totally analog bag for us today. 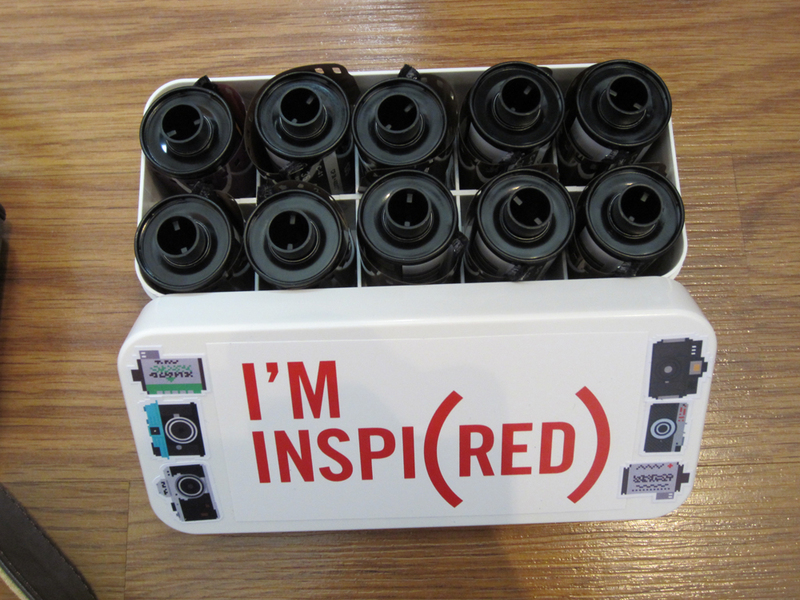 With a lovely customized film case inside. Loads of pics and a video of the bag as well! Check out this simple set-up. My name is James Agee and I am a college student studying to become an English Teacher, possibly a professor, we’ll see. 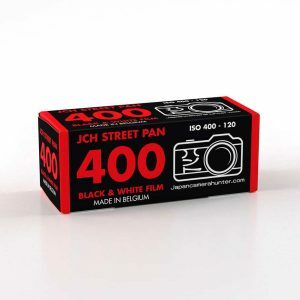 For a year or so now I have really been into Lomography, but it did not occur to me until recently that you can branch out of the Lomography line of cameras and still do things in the spirit of analog photography. 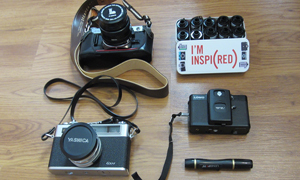 I have always loved old and vintage things, thus two of my cameras are older 35mm’s. I even included ideas of a simpler time in my book Mask City. For me, I just love the idea of not necessarily going backwards, but sticking with something that was great to begin with. The cameras and supplies that I have chosen to be in my camera bag are the ones that I have found to be the most reliable for me. 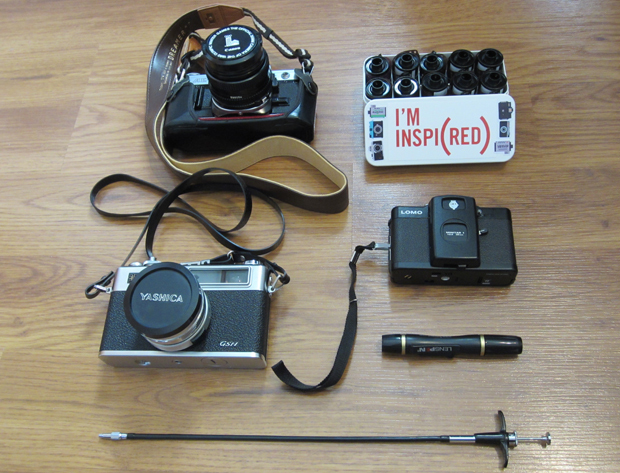 Since I am a student I am quite satisfied with the cameras that I have, though one day I dream of owning a Leica. 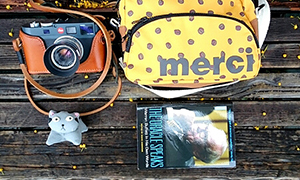 I use an Amazon Basics camera bag, affordable and perfect for my needs! 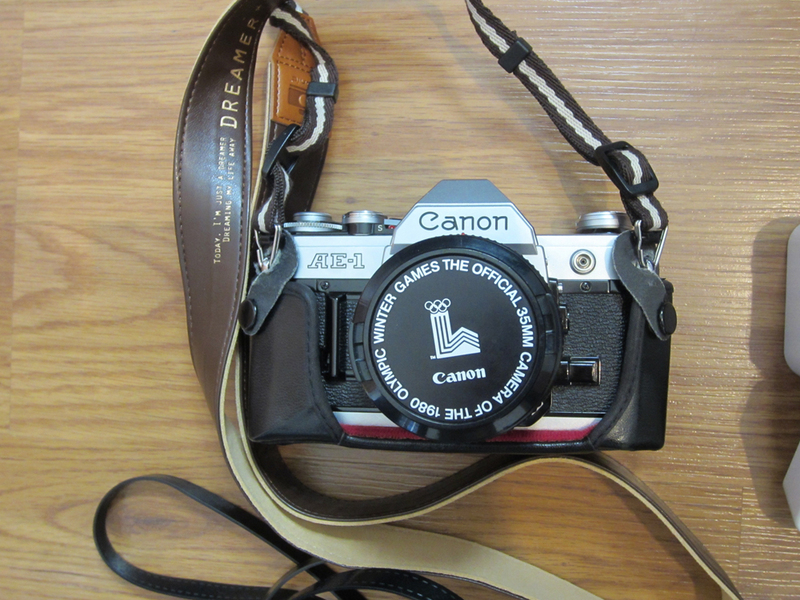 This is my Canon AE-1, my pride and joy! Accompanying it is an Iconic Dreamer Strap that my brother got me as a Christmas gift, he bought it from Photojojo. This camera is by far my favorite, the way it takes a picture and the fact that it was my first SLR make it a favorite of mine that I will never forget and will hopefully be able to keep for many years to come. 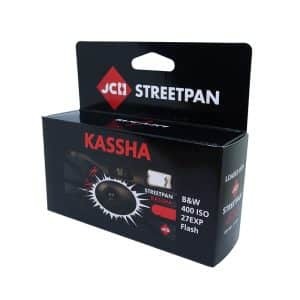 This is my favorite photography accessory that I own! 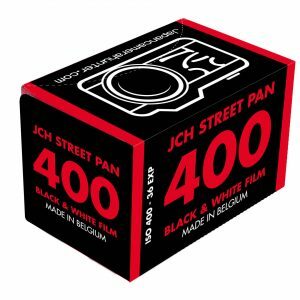 It is the Japan Camera Hunter 35mm Film Crate. I added some really cool stickers to it and filled it to the rim with film! 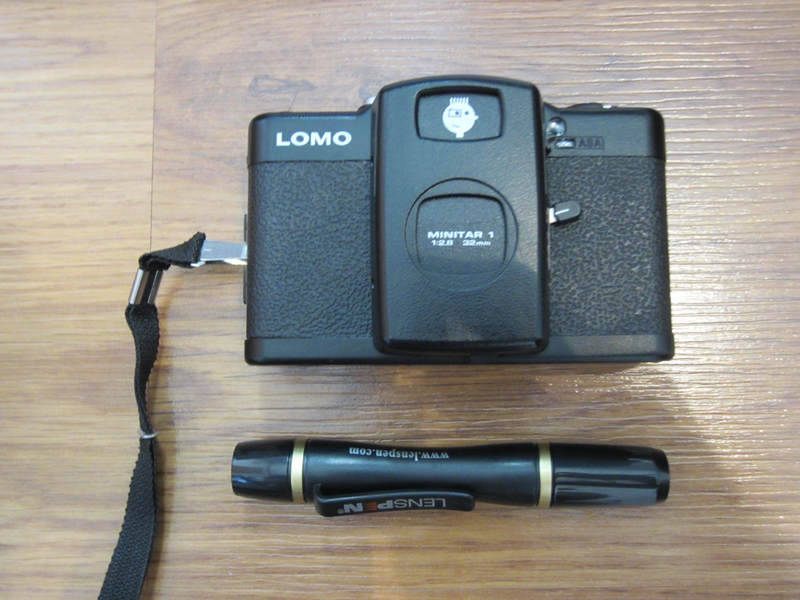 This is my LOMO LC-A+ and LensPen. 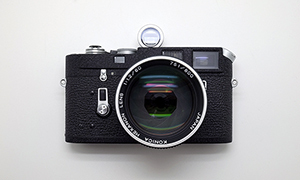 The LC-A+ is a newer version of the classic camera that started the Lomographic Society. 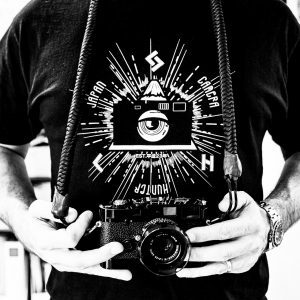 For me it is derived from an iconic piece of history and that will always make this camera special for me. 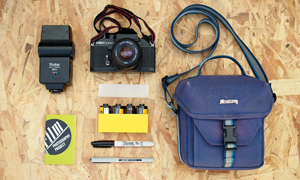 The LensPen is a really cool gadget that I recently added to my bag. It does its job and that’s all that I can ask of it. 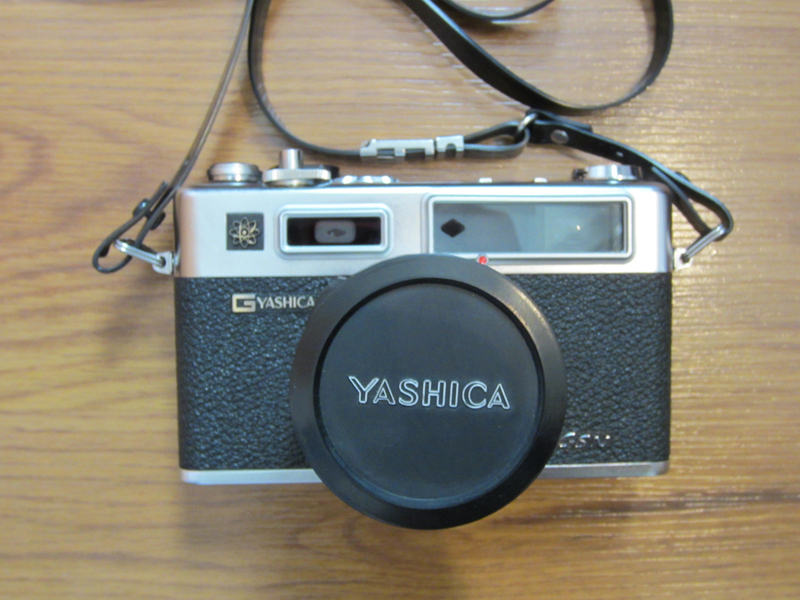 Lastly, my Yashica Electro 35 GSN and the shutter release that is not pictured (except for in the first image). I got this camera after a friend told me about it and then found out something really cool about it. 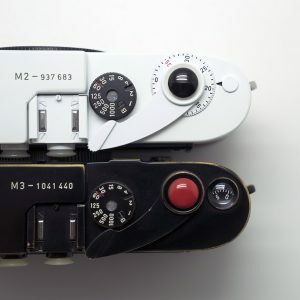 The word is online that this is the model of camera that Peter Parker (a.k.a. Spiderman) used in the new 2012 movie The Amazing Spiderman. I have looked into it, and it does seem to be the case. I also found a neat strap online that matches the one from the movie so I have it ordered. Anyone interested can find me in videos at http://www.youtube.com/NReluctant or check out my blog at nreluctant. I also have an Instagram, it is NReluctant. Thanks again Japan Camera Hunter for having such a fantastic section on your website! 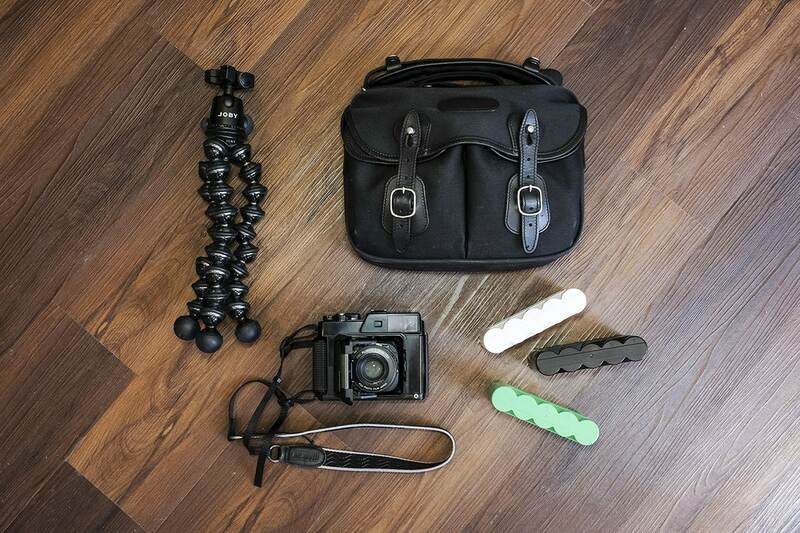 Thanks for sharing your bag and your cameras with us James. And thanks for the video links too.